It's an often used expression in America to say that a scene "looks like something out of a Norman Rockwell painting" or to say something like "as American as a Norman Rockwell painting." The prolific painter created more than 4,000 original works in his lifetime. While he was still in his teens he received his first commission painting four Christmas cards. Not long after, while still in his teens, he was hired as the art director of Boys' Life Magazine, the official publication of the Boy Scouts of America. When he was twenty-two, he was commissioned to paint his first cover for the Saturday Evening Post. 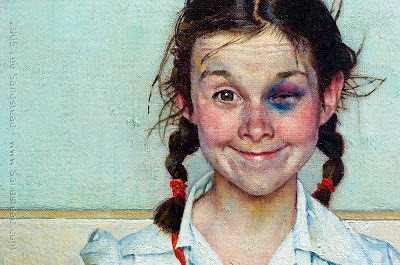 It was an opportunity of a lifetime--Rockwell considered the magazine the "best show window in America." And he was more than happy to paint 321 covers for the magazine over a nearly fifty year period. Some of his best-known works graced the covers of the Saturday Evening Post. 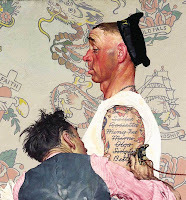 In 1943, inspired by a speech by Franklin D. Roosevelt, Rockwell painted the Four Freedoms which were reproduced on the covers of four consecturive issues of the Post along with essays in the magazine from contemporary writers of the day. The paintings were so popular, they toured the United States, and raised more than 130 million dollars towards the war effort through the sale of war bonds. 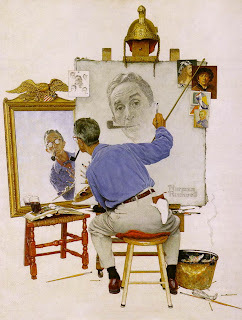 In 1977, Norman Rockwell received the highest civilian honor in the United States--the Presidential Medal of Freedom. He passed away in 1978, but he will long be remembered for his remarkable contribution to art, and for that unique view he shared so generously with America through his work. Bro. 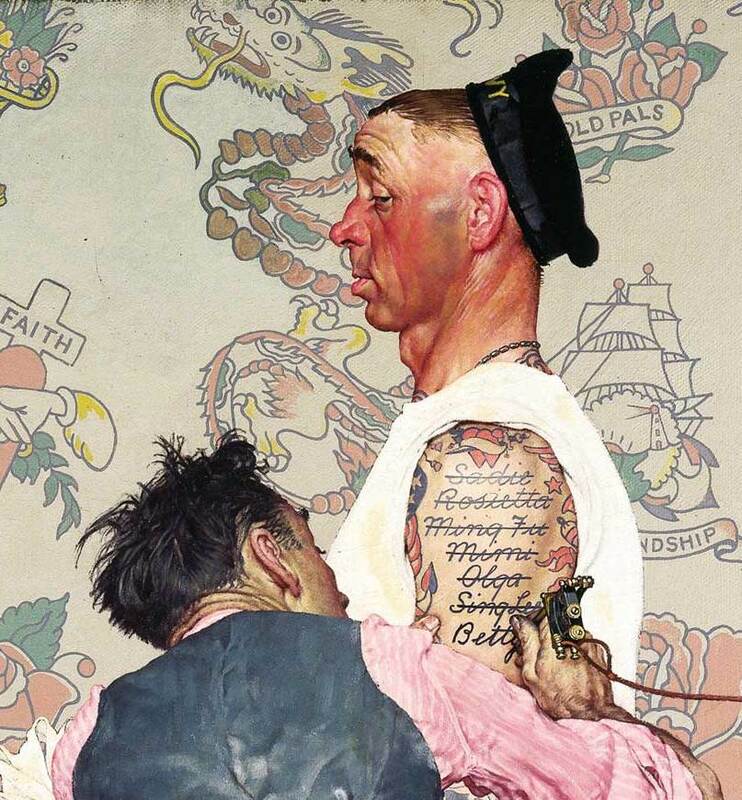 Norman Rockwell was a member of Red Mountain Lodge No. 63 F.& A.M., Arlington, Vermont. To understand the teachings of Pythagoras it is necessary to understand his sense of morality. Pythagorean morality contained in what is referred to as the “Golden Verses”. These verses contain the moral expectations of a philosopher or any reasonable person to live by. The verses are of unknown in origin but are said to be as old as the third century BC. During this period Neo-Platonist Iamblichus is said to have gathered thirty-nine of the symbolic sayings of Pythagoras and interpreted them. Over the Years the Golden Verses have gained in number totaling 71 verses. Thomas Taylor translated these verses from Greek and it should be understood that these verses were an aphorism. Aphorism was a preferred method of education used in the Pythagorean university of Crotona. Each aphorism contains concealed meanings, which were purposely hidden by the Master to be revealed later at each stage of initiation. These Golden Verses were ascribed to Pythagoras himself, but it is doubtful he is the author of all 71 verses as it was most likely verses were added over the years. The Golden Verses contain the hidden wisdom of the entire system of philosophy. These hidden meanings form the foundation of the moral doctrines of the Italic School. These verses instruct the earnest student to love God, respect the great heroes, and respect the spirits and elemental inhabitants. They then urge man to value the virtues of the mind and soul to that of materialism. The verses also assure that man has the ability to rise above his lower material nature and be acceptable in the sight of the gods, be reunited with their immortality. The members of Beech Grove Lodge #690 surround President Harry Truman after the ceremony raising Donald Bauermeister, far left. Photo courtesy MWB Dwight L. Smith family. A US Navy sailor assigned to Harry Truman's Presidential yacht, Williamsburg, knowing about Brother Truman's interest in Freemasonry, told the President he would soon be receiving his Third Degree. In the conversation that followed, Truman realized his upcoming "Whistle Stop" campaign tour would take him through Indianapolis, near Beech Grove Lodge #694 where the event would take place. Since President Truman and his employee shared an interest in history, Truman had come to know the young man well. So he told him if they could coordinate things, he would attend. The young man's Lodge made every effort to ensure the event would happen when the President's campaign was in town. On the day of the event, President Truman's train stopped in Noblesville, Indiana. The young man joined the President there and they rode the 20 remaining miles to Indianapolis together. That evening Brother Harry slipped out the back of his train car and went to the Lodge. There, he was given an honorary seat in the East, raised the young man and made some poignant remarks about the Bible and the fraternity. President Truman undoubtedly met every man in attendance that evening as they all shared an iconic moment of Masonic Brotherhood. As many times as this story has been told, little has been said about the man Truman raised that evening. Who was he? What became of him? Did he become a "true and faithful Brother among us," as we pray in the first degree? Did he and Truman remain friends? 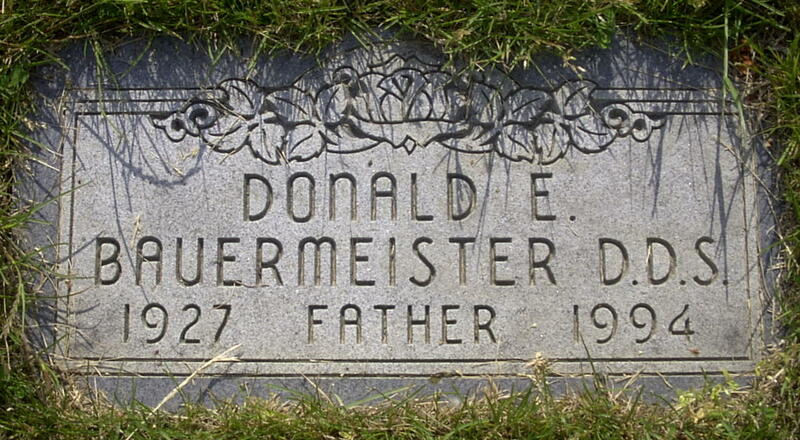 The young man was Donald Earl Bauermeister, born August 24, 1927. 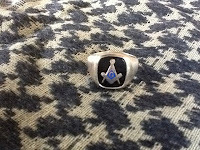 He was 21 years old at the time of his raising, just barely old enough to join the fraternity. He had recently enlisted in the Navy and served as a Hospitalman Third Class on the Williamsburg. In fact, he spent his 21st birthday there, with the President aboard. Three days prior he had assisted in a crew member's emergency appendectomy, an event that no doubt drew Truman's attention. Brother Donald Bauermeister prepares to dive from a platform on the Presidential yacht, Williamsburg as President Truman (3rd from right on deck) watches. Photo courtesy Truman Library, Independence, MO. After his Naval service, Brother Don enrolled at the Indiana University extension in Indianapolis and ultimately entered the dental school there. In 1950, he met his future wife, Lois and that May, when they decided to marry, he wrote the President to inform him of his wedding plans and also updated Truman on his schoolwork. Finally he asked the President if he would take time to meet his parents when they were in Washington the following month. Truman wrote back saying he would meet with Don’s parents. He concluded his letter, “I waited ten years too long before I assumed the responsibility [of matrimony]... 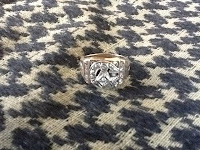 It pleases me when one of the young men with whom I have been associated buckles down to work and makes good.” Truman sent the young couple a silver tray as a wedding gift. Over the years, Brother Don made a few requests of the President, who never turned him down. On one occasion, Don and his wife Lois went to Washington and attempted to phone Truman, but he was unavailable. It is the only documented occasion when Don tried unsuccessfully to make contact with Truman, while he was in the same town. It’s understandable; the man was merely the leader of the free world. Some months later, however, the tables were turned. Truman visited Indianapolis. Once there, he went to his friend’s house only to find he was out of town. In 1951, Don traveled to Washington, DC. While there he went to the White House unannounced and asked to see the President. Matthew J. Connelly, who was Truman's personal secretary, said Truman was too busy to break away. Brother Bauermeister urged Connelly to contact the President anyway, which Connelly reluctantly did. The Korean War was raging, the Middle East was in turmoil and the President had a crammed schedule. He literally had the weight of the world on his shoulders; yet, he made time to see his young friend. The pair exchanged letters, gifts, Christmas and birthday greetings. Bauermeister sought out Truman’s advice on several occasions. Truman counseled him on subjects including Masonry, schooling and a career choice. On the President's 65th birthday, Don sent him a fifth of Old Granddad. One would assume Brother Harry enjoyed that more than the accompanying card and the not-so-subtle reference to the President's increasing age. In 1956, Don and Lois traveled to Independence to visit the retired President in his office at the Truman Library. It was the last time they saw each other in person. Don and Lois settled down on the south side of Indianapolis, not far from the Lodge where Brother Truman had raised him. After graduating from the Indiana University School of Dentistry, Don established a practice and went on to become a respected Indianapolis dentist. He never held a Masonic office, but remained a member of Beech Grove Lodge #694 for the remainder of his life. 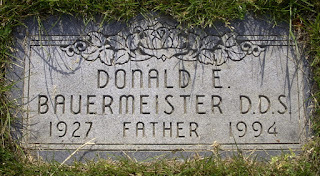 On August 5, 1994 Brother Don succumbed to the effects of years of smoking at the age of 66. 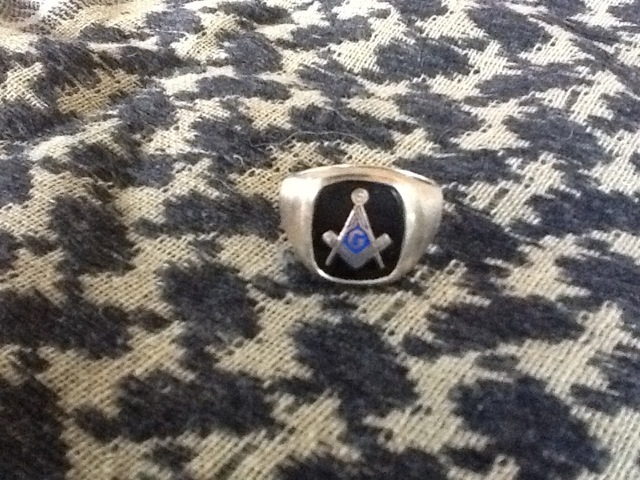 Many men have formed friendships bonded in Masonry. This one is certainly one of the most unique. It was a friendship between two very different men. One was a successful and special man, but of no remarkable status. The other was a man of destiny, the leader of the free world. In part, the fact they shared a friendship says something not only about the country, but also the time they lived. In today’s world of sound bytes and handlers, it might not even be possible. Truman easily could have declined the invitation to attend Donald's raising; but he didn't and both men's lives were richer for it. Facebook is a crazy thing. 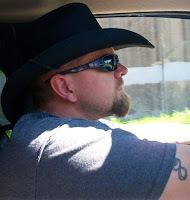 About three or four years ago, I noticed this guy who always posted funny responses to whatever my wife had to say on Facebook. I mean hilarious stuff. So I finally asked my wife, “Who is this guy, Brian Schimian?”. She let me know he was actually a friend of her friend. My wife is a 911 dispatcher, and so she knows a ton of officers in the police departments and in the fire departments. 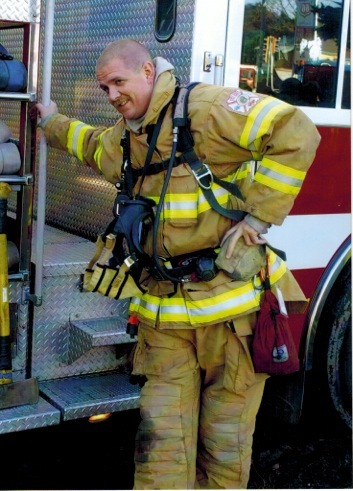 Turns out this comedian, was in fact a fireman. Needless to say, I friend requested the guy just to read his rants and funny comments. Thats all I had any interest in to be honest. Not a week goes by and I find out this guy was a Brother! “How funny!” I thought to myself. My wife had a good laugh, I believe she said something to the effect that Masons tend to find one another, and in this case it was true. So Bro. Brian and I became typical Facebook buddies, ranting and joking all the time. One day he posts that he needed to get rid of his brewing equipment and I laughed again. “One more thing we had in common” I said, but alas he was getting rid of his stuff. So I made a decent offer and he wouldn't take it. He said “That’s too much to charge a Brother.”. The next morning I met him at his home, packed my car with brewing supplies and equipment and went home to make some beer. We corresponded often, I even made a few custom antiqued clocks with the Square and Compasses on them leafed in gold, of which he bought two. 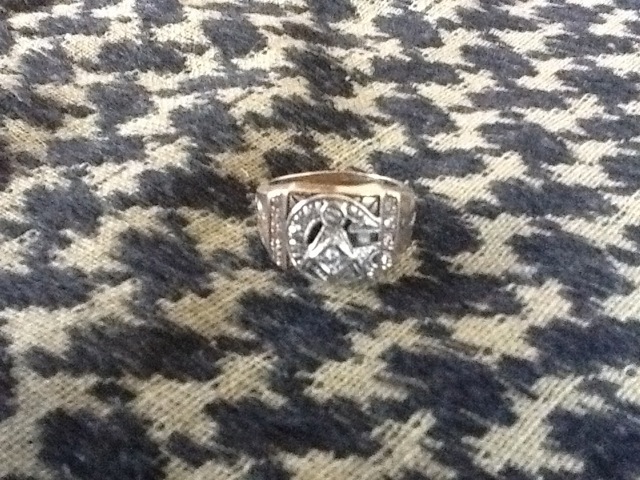 He gave one to his dad, Worshipful Brother Butch Schimian and he kept one. A year later, Bro. Brian’s dad got sick and passed. It was a crazy and rough ride for him, as it would be for any of us who lost someone important. However one of the great things that came out of Brother Brian after his dads passing was that a dormant skill of writing awoke. 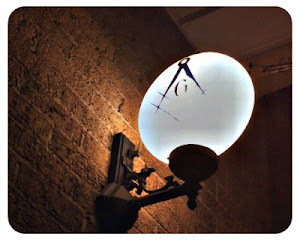 Today, I am announcing that Brother Brian Schimian joins The Midnight Freemasons as it’s ninth regular contributor. Brian, as a friend, and a Brother I say thank you for accepting the invitation to write for us. 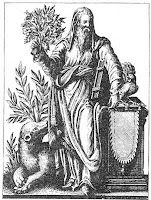 Pythagoras taught lessons of morality through metaphors, he is said to have taught that mortals who during their earthly life had acted immorally had tendencies that were similar to certain animals. Their punishment in the next life would be to return to earth in the form of the beasts they had grown to resemble. So a dishonest person would return in the form of a rat; an ignorant person in the form of a jackass and so on. Though it is believed that Pythagoras gave this as an allegory to show metaphorically how human beings become beast like through desire and selfish tendencies. Pythagoras termed this transmigration but it is more commonly referred to as reincarnation, which is a concept that he learned in India. 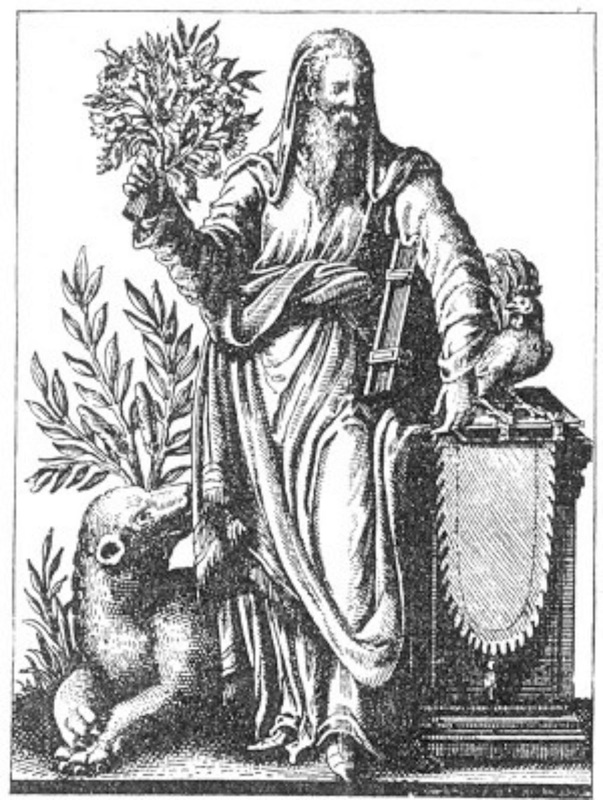 Pythagoras taught an allegory of creation where God made each perfect form spiritual seal which left its impression upon the wax of physical form. Each seal was a stamp of dignity to its divine pattern. So he thought that man must claim his destiny by achieving a state where the lower nature of the material self would be discarded in a body of spiritualized ether. This subjection of the physical form would be in unity with the spiritual form of the Antichthon, or the eighth sphere. From this man would ascend into the realm of the immortals, or the astral realm refered to as Yesod in Kabbalistic teachings. Pythagoras taught that everything in nature was triangular in nature so the wise man should view every problem as being in three parts. Pythagoras said, “Establish the triangle and the problem is two-thirds solved… All things consist of three.” Pythagoras also divided the universe into three parts, which he called the Supreme World, the Superior World, and the Inferior World. The highest Supreme World exists as a spiritual essence, which contains all existence and manifests its presence into the lower planes of creation. In this world existed the Supreme Deity Monad which is omnipresent, omniactive, omnipotent, and omniscient. This world is based upon the rules of the infinite and transcends space and time. The Superior World can be best understood in a Neo-Platonic sense as the space where the perfect Platonic forms exist. In a psychological sense the Supreme World can be viewed as Carl Jung’s “collected unconscious” the dwelling place of the archetypes, or in a Pythagorean sense the seals, which exist as casting their shadows upon the Inferior World, or material existence. This is the realm of the mind which the conscious mind interprets the spirit through the unconscious. This world is bound by space and time, but often as we daydream the conscious mind withdraws from the material world and time ceases except for that aspect of ourselves bound in the Inferior World. The Inferior World is the natural realm based upon the finite existence of material substance. Pythagoras thought that this world is based upon the existence of the mortal gods or the Demiurgi. The Demiurgi are the angels who labor with men but also the demons who work against mankind; and finally mankind, animals, and plants. Pythagoras thought that man existed temporarily of the earth but was capable of rising above that sphere by reason and philosophy. The three worlds were viewed as receptacles to virtues from Monad as they manifested in the lower realms. The first was the receptacle of principles, the second was the receptacle of intelligences, and the third, or lowest, was the receptacle of quantities. It was through mastering these virtues that man could transcend his finite self. The dot in Pythagorean teachings is related to the Point within the circle to Masons. The dot itself is the point where all possibility can steam. This symbolized the number 1 that related to the infinite power of the One to manifest and emanate the lower worlds. The digits 1 and 2 are not considered numbers by the Pythagoreans, because they typify the two supermundane spheres. The Pythagorean numbers, therefore, begin with 3, the triangle, and 4, the square. These added to the 1 and the 2, produce the 10, the great number of all things, or the archetype of the universe. 10 is held as a sacred number or completion in a variety of systems and teachings. “The Decad, number Ten, or Panteleia, which meant "All complete" or fully accomplished," is the grand summit of numbers, which once reached cannot be passed; to increase the sum we must retrograde to the Monad. 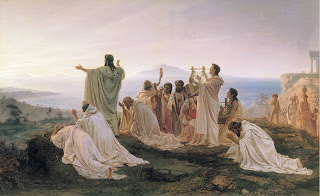 The Pythagoreans were entranced with its virtues and called it Deity, Heaven, Eternity and the Sun. being the recipient or receptacle of all numbers was called Decad, from dechomai = to receive, and hence Heaven, which was ordained to receive all men. Like the Deity it is a Circle, with visible centre, but its circumference too vast for sight. To understand the Pythagorean view of the material world we must understand the Greek’s view of the world as composed of four elements, earth, water, air, fire, and bound together by ether, or spirit. All life and material were composed of these initial elements. The shapes of the particles of the elements were those of the regular solids. Earth particles were cubical in shape, because like earth, the cube possessed of greatest stability and endurance. The fire particles were tetrahedral in nature, because the tetrahedron was the simplest design so it contained less density making it the lightest solid. Water particles were icosahedral in nature because it was a complex design making it denser then fire. Air particles act as intermediate between the water and fire so were deemed were octahedral. The most mysterious of the solids was dodecahedron. The dodecahedron was the most difficult to construct and an accurate drawing of the regular pentagon required a rather elaborate application of the Pythagorean theorem. So it is seen to represent the element spirit, or the manifestation of the Deity in tracing board of the Universe. The spirit element was also held to be the correspondent between the elementals and to the symmetrical solids. Pythagoras found a more elaborate understanding of the ether element most likely by the Hindus, which refer to it as Akasa. Ether is the inner substance which infuses all of the other elements and acting as a common solvent common denominator and connector of them all. It is legend that Pythagoras possessed hypnotic power not only over man but also over animals. It is said his mental powers would cause a bird to change the course of its flight, a bear to cease its ravages upon a community, and a bull to change its diet. He was also gifted with second sight, being able to see things at a distance and accurately describe incidents that had not yet come to pass. There is a legend where with his disciples drinking water from a spring and Pythagoras predicted an earthquake which was fulfilled and devastated the local communities. Pythagoras with his higher students practiced divination to predict future events. This divination was most likely a form of arithmomancy or hydromancy that he learned from the Egyptians. Hydromancy is the divination through the observations of ripples in a bowl of water in a trance like state. It is likely that Pythagoras used a brass bowl; he believed that brass had psychic powers because of how rates of vibration were found in the metal. Pythagoras observed that even when everything was perfectly still and calm there was always a sound of vibration in his brass bowl. 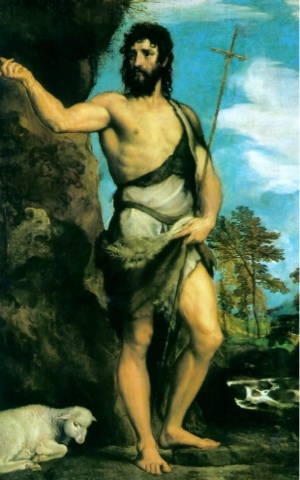 It is said that during a hydromancy session he addressed a prayer to the spirit of a river and out of the water arose a voice, which granted him the ability to cause demons to enter into the water and disturb its surface, and by means of the interpretations of the ripples certain things were predicted. In the journey of becoming a Master Mason, one is Initiated, Passed and Raised along their path of Enlightenment. But what about the time one spends going on during their life before they decide to fill out a petition to join a Masonic Lodge? It would be wrong to say one simply fumbled around in the dark before seeking the light. 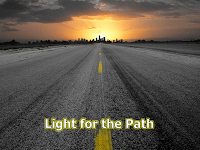 After all, if you are fumbling around in the dark, and a you see a beacon of light, you would be automatically drawn to it. Thus all men would seek to be better men by petitioning the Craft. But this does not happen. Perhaps a better analogy would be that, before seeking enlightenment one is shrouded by the shadows of other men. Those that are blessed by the shadow of Great Men can be considered to be, in a way, protected, watching, following and learning from their words and actions until one day, the student takes the steps to become a Master. But even then, once a seat of equal stature is attained, do we really ever leave the shadows of these great men? before us, and the men before them? of those great men that have come and passed before my time in this world. some ways, they aren’t really gone. Maybe a bit of their shadow can be passed on to others through me.